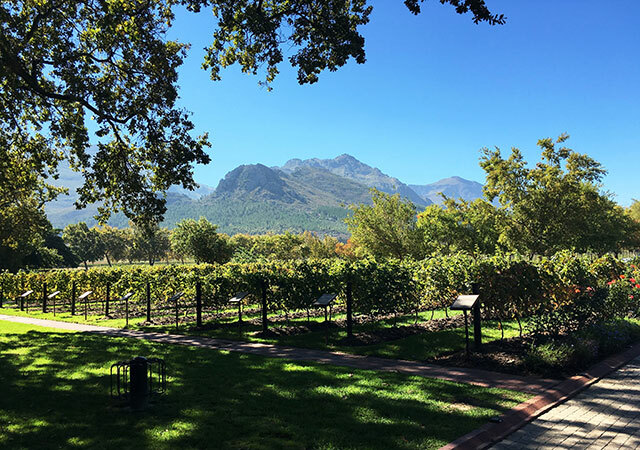 I’ve said this before and I’ll say it again – the Paarl wine region is a favourite of mine. But it’s the modest wineries of the Agter-Paarl that are the real gem, the open secret you really should know about because in this area it’s not about the 300-year-old manor houses and perfectly manicured landscapes, it’s all about the wine. Don’t get me wrong, the seriously picturesque old estates have their place, especially when I’m escorting overseas or upcountry friends around my beautiful Cape. But if you’re remotely interested in really good wines that represent great value for money, the cellars lining the R44 on the way to Wellington are the places you want to visit. One such a gem is Windmeul Cellar/Kelder. 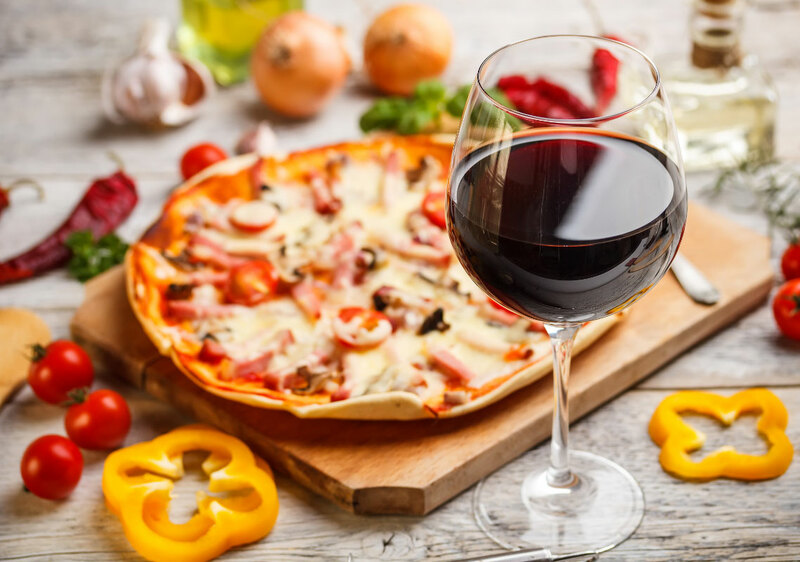 It was established in 1944 by a group of table grape producing farmers who wanted to make wine from the grapes not deemed suitable for export. They teamed up in a joint venture with local wine farmers. Fast forward 73 years and today Windmeul is a wine producer of distinction, regularly kicking dust in the face of the big shots when it comes to wine awards. Farmers still provide their grapes, but where the purpose was to get rid of the dodgy stuff seven decades ago, the focus now is on growing quality fruit and harnessing the best from this fabulous terroir. Back at the cellar, cutting-edge wine making techniques in state-of-the-art facilities are what it’s about. It shows, because I tasted some serious stunners on a recent visit there. It was a cold, rainy spring day, but I wasn’t complaining because our current drought is just beyond dreadful. The roaring fireplace in Windmeul’s lovely modern tasting room made me even cheerier. And then they brought out a breakfast pizza with – I kid you not – 6 eggs. Or maybe it was 8. Now that’s what I call a breakfast pizza, but more about that later. Cellar master, Danie Marais, guided us through some of their wine gems in a tasting paired with mini roosterkoek. It’s so nice to see wineries starting to experiment a bit and move away from the predictable chocolate/nougat/cheese pairings. First up I tasted their Chenin Blanc Reserve 2016. It spent 12 months in the barrel with just a small percentage of new wood, so it’s wonderfully full-bodied and complex without the oak dominating. A total show-stopper and others think so too, because the 2016 Reserve Chenin got the nod in the 2017 Standard Bank Chenin Blanc Top 10 Awards. The 2016 is not available on their site, but you can get the 2015 for R80. The wine was paired with a shredded chicken, brie, apple and pecan nut mini roosterkoek. 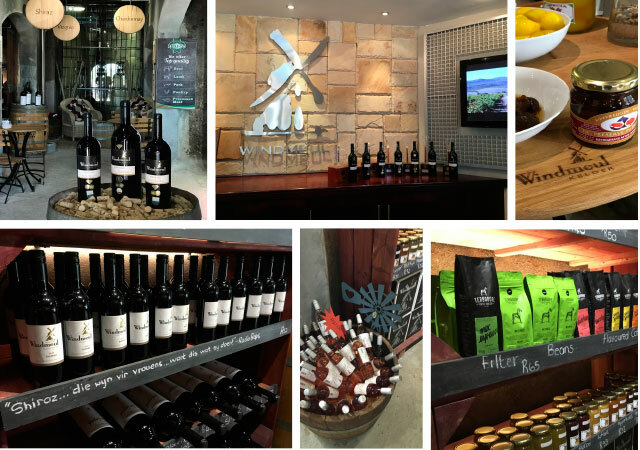 Windmeul Cellar/Kelder: Award-winning wines, a daily ‘Kontreimark’ with fab deli goodies, a monthly Farmer’s Market – Windmeul has it all. Next up was their 2015 Reserve Pinotage paired with a creamy mushroom steak roosterkoek. The 2015 spent 18 months in 100% new oak. I got gorgeous sweet cherry and plums and loved the acid structure of this wine. Once again a winning wine for them, with their 2015 receiving an Absa Top 10 Pinotage award. Pinotage is a bit of a focus for Windmeul. Their efforts are certainly paying off because they regularly make it into the Top 10 for this cultivar. Reds are really the focus of their Reserve range because it also contains a Cabernet Sauvignon, Shiraz, Cape Blend and Bordeaux blend. 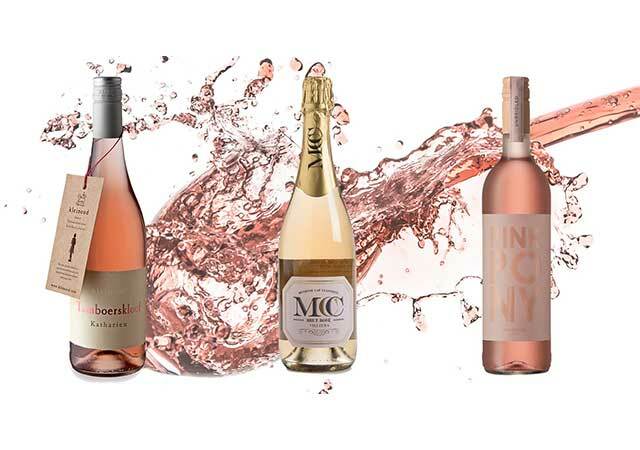 These are of course special occasion wines, but Windmeul also makes fantastic everyday wines in the form of their white Cellar Range (Chardonnay, Sauvignon and Chenin) and their red Cellar Range (Pinotage, Shiraz, Merlot, Cabernet and a Cabernet/Merlot blend). 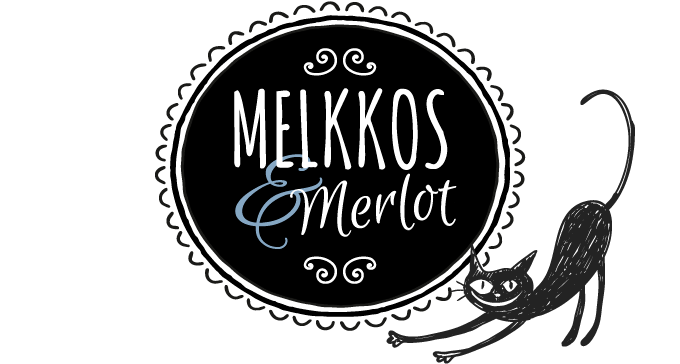 I tasted quite a few of them and loved them all, but especially their juicily soft Merlot, ridiculous silly-stupid value at R49 online from the estate. 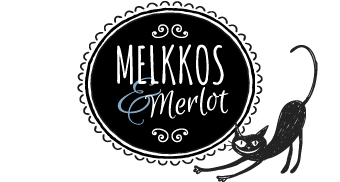 Their extremely-friendly-on-the-pocket Mill range features a Shiraz/Cinsaut blend and a pleasing rosé that is perfect easy summer braai drinking at just R37 a bottle. R37, I kid you not. 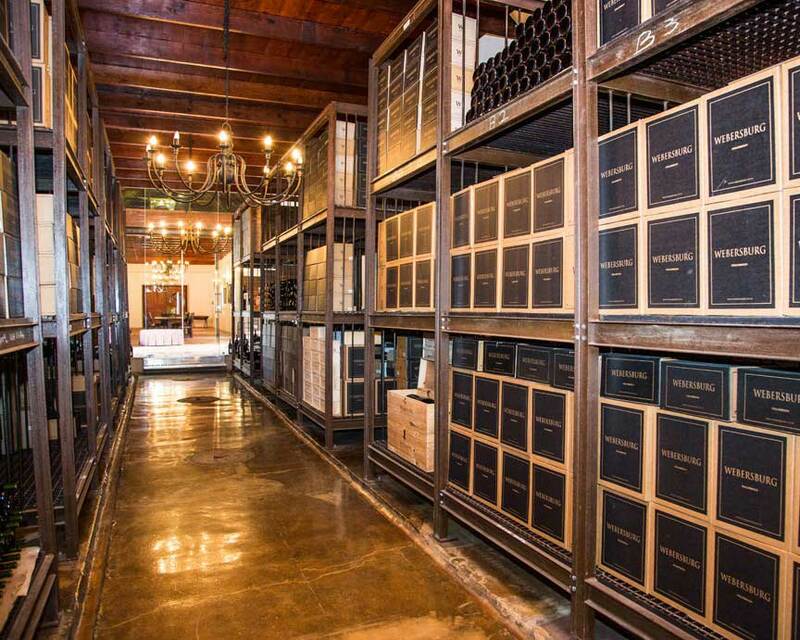 But Windmeul Cellar is not just about wine. It’s also about food, produce, craft, community and sustainability. There is a wonderful Farmer’s Market on the first Saturday of every month where you can eat one of those awesome 6/8-egg breakfast pizzas amongst other things. You can also buy produce from local vendors, all hand–selected for the passion they have for what they do. 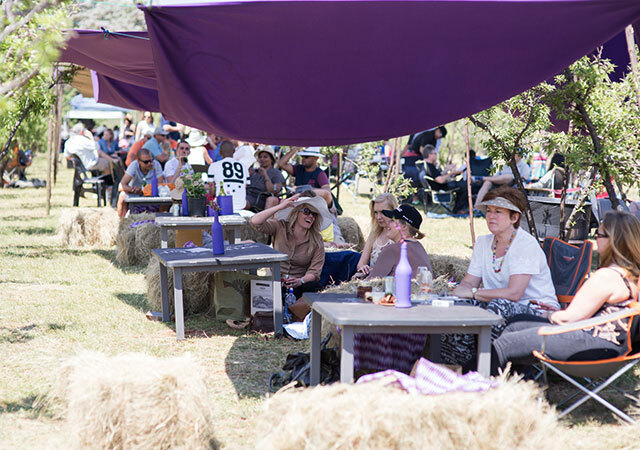 Olives, jams, artisanal breads, quiches, botanicals, herbs, paintings, jewellery, wooden toys and more are to be found. Phew. Browse for pressies, pick up some nibbles and a bottle of wine and settle in for a picnic while the kids go crazy in the country air. Ah, the Agter-Paarl, this is life as it should be. 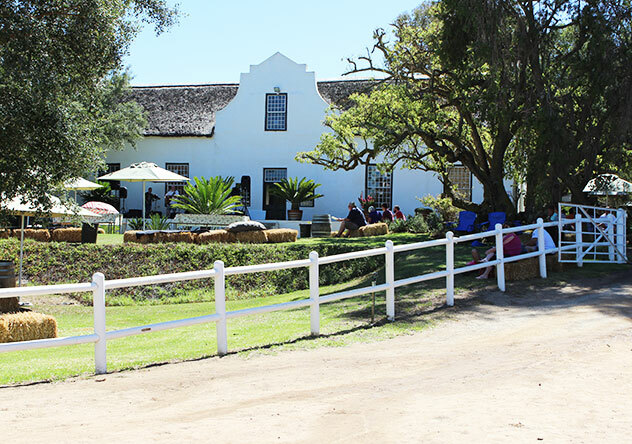 Their Kontreikombuis kitchen is open every Saturday serving up breakfast, pizzas and roosterkoek. Windmeul also recently opened up their Parskuip Market/Kontreimark. 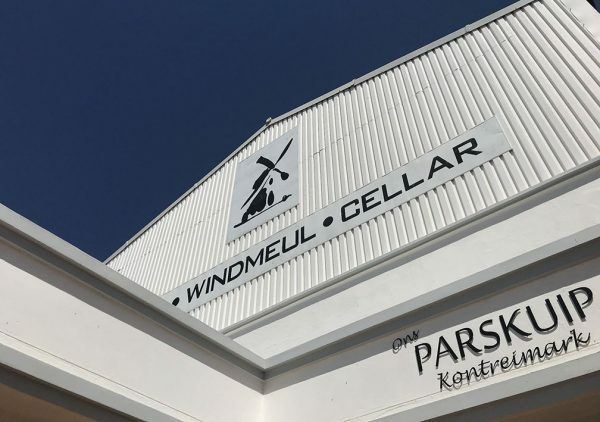 Adjacent to their tasting venue, the Parskuip stocks many of the goodies from their Farmer’s Market vendors. I met one of them – local Elsa du Plessis – on the day I visited. She’s into olives and, fascinatingly, buchu too. To be honest, I’d never really given buchu a thought – until I tasted Elsa’s buchu shortbread and buchu brandy. I went home with a sprig of the stuff in my handbag and kept on opening it for a whiff. Next time you’re thinking wine, think Windmeul and pay them a visit. You won’t be sorry. The Parskuip Market/Kontreimark is open every weekday from 8am to 5pm and until 3pm on Saturdays. And if you want to get a Farmer’s Market visit in this side of the year, their next and final one for 2017 is on 2 December. It starts at 8 and wraps up at 12:30. I’m so going.